It has been a week, maybe two, since I undocked and did something in EVE. I can’t remember exactly. Today I had a look again at the ingredients required to build that Astrahus. I’d made a start by doing some random mining sessions – using a local belt and a mining anomaly that popped up one day. I had also kicked off a couple Planetary Colonies. The endeavour had however lacked the attention to detail I usually put into such things. Reviewing the BPC-pack I had purchased, I could see I had to get Zydrine and Megactye. With a bit of patience and luck, I can find Zydrine in High Sec Ore anomalies containing Jaspet, Hemorphite or Hedbergite. 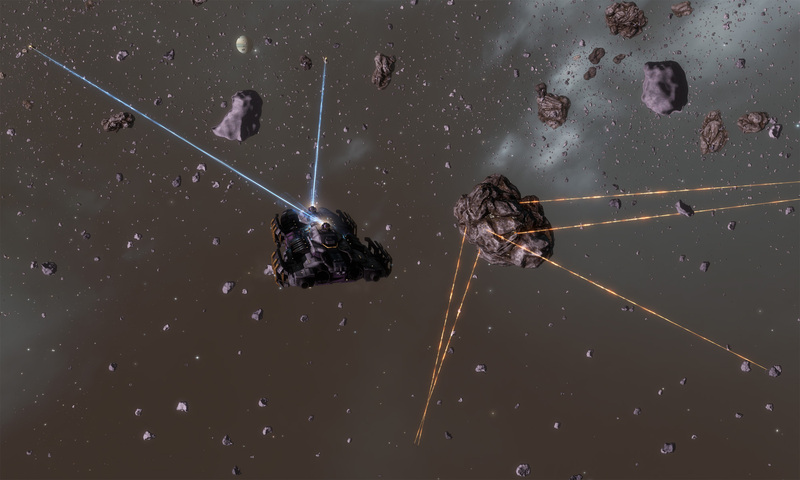 To get Megactye I’d need to venture into Low Sec Ore anomalies, Wormhole Space or Null Sec to mine. To that end I spent a bit of time and worked out fittings for a couple Venture Mining Frigates and a Prospect Exploration Frigate. I’ll keep an eye out for suitable Wormhole links, and do some suicide, sorry, Ninja mining. I’ll need to move some near empty clones into the area first. I went all the way to Dodixie to get a Prospect. The prices were excessive in Jita. One system from home I stumbled across an unexploited small Ore site, and was able to make a start on my Zydrine requirements. A local NPC rat soon turned up. The Prospect has no offensive capabilities, so I assumed I would have to just tank it. 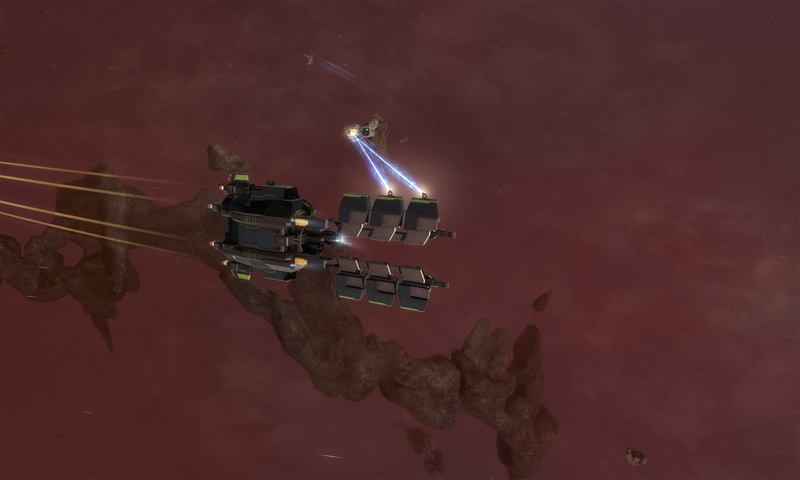 Instead of firing however it just orbited the same Ore I was orbiting, without opening fire. When I returned later with a Skiff it immediately attacked. Not sure what was going on there. The Mining Ledger was able to show that my haphazard efforts so far had netted 284,000m3 of Ore, worth a bit over 46M ISK. I realised I had made a hash of my initial spreadsheet, and I in fact had no idea how much I had to mine for all the Structure Parts. I suspect most of my work however will be in PI. To that end I also spent a bit of time on my Planetary colonies. It ended up hurting my brain through. I started a third planet, and continued working on various components I know I will need. I think I’ve almost got the basics covered for the first P4 items required for the first structure construction part. My skills are slowly continuing to tick over. Interceptors V, Expedition Frigates V and Electronic Attack Ships V completed since I last remember mentioning it. I am currently working on ORE Industrial V. I am sitting on 222M SP apparently. Now I need to get back to the spreadsheet. A bit further along than I thought. PI however is much more of a worry. Just an aside – I’ve noticed that when I sit down to play a game for the day, it tends to be either EVE or World of Warships, but rarely both. My recent sudden burst of mining in EVE saw me not log into World of Warships for a week. Playing with the Italian battleship Giulio Cesare the last few days has seen me not log into EVE. I’ve done two posts related to CCP’s latest round of retrenchments. One wondering at the culpability of CCP’s management decision making, and a second wondering about the relationship between CCP’s management and the EVE Community. A third common thread in people’s discussions is how this relates to the EVE is dying mantra. 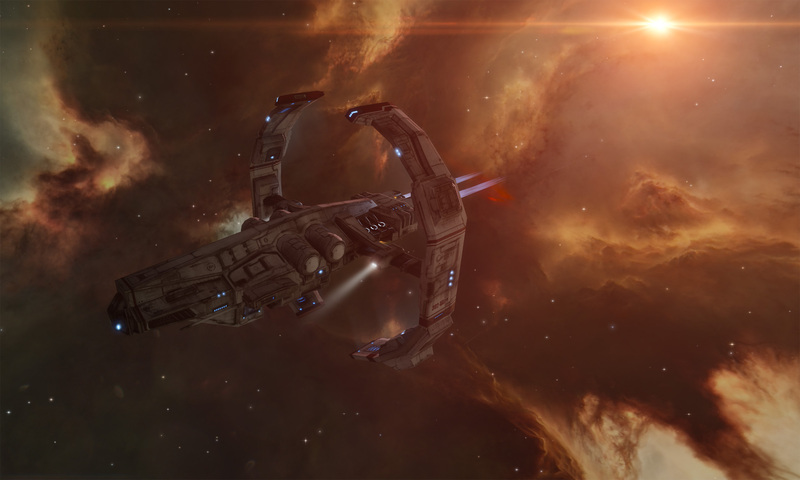 Kirith Kodachi suggests we might be in the Sunset phase of EVE Online. It is not dying yet, but it is not thriving anymore. There is sense to that from the statistics we can see, particularly apparent if you are a veteran of the game. If nothing much changes, it is probably an accurate assessment. A long and slow death, one that many of us probably wouldn’t be around for. Those that are would mostly be able to adjust. It might even come as a relief. The glitch in the concept however is if CCP introduce changes to the game that suddenly reinvigorate the old players and positively enthuse the new. I don’t have some worthwhile example – if it was logical and obvious CCP would likely have tried it. Maybe they open up new space along with new mechanisms of exploration, resource gathering and taking ownership that people absolutely love. The game – in theory, could be more alive than ever. While the game is being maintained, refreshed, updated and evolves, there is always the possibility of a resurrection. CCP’s focus on group play and mechanics has negatively impacted my hermit game style. That’s my EVE – not EVE itself. While I suspect the jury is still out on CCP’s latest focus, it could feasibly make the game better overall while leaving me at the wayside. What the latest round of retrenchments have done however is remind me of another risk, and a fate worse than the slow death often discussed. The mistakes of senior management at CCP could kill EVE. A failed investment, carrying too much debt at a bad turn in the economy, messing up the basics and not being able to raise enough short-term cash, allowing control of the company to be wrestled away by those skilled in stripping value and leaving an unsustainable carcass, or even a decision to move resources away from EVE and onto something that has proven to be more profitable. A sudden and premature death, possibly with little notice. How impotent would our conjecture and arguing about EVE dying be in such a situation? I don’t have a view on how likely or not that is. It does seem at least a vague possibility. That is why I find the big rounds of retrenchments to be disquieting. As I remarked in an earlier post, was it a sound decision made on the back of appropriate boldness and risk, or did they just stuff up big – again. I noticed a comment yesterday on one of the EVE news sites that the EVE Client launcher was going to be updated, and that you would have to re-log in. I started the client up today and found that was indeed the case. What I wasn’t aware was that the entire client settings were reset. Completely reset. If you hadn’t exported your overview any time recently, those have all gone to. Annoys me to be honest – it takes me hours to get the client settings just right. I wonder if I was just lucky, or if it was a common problem. Lorelei Ierendi mentioned in the comments that you can click on the little gear symbol next to the account name in the launcher, and change the profile away from the default. I’ll have to look up if the default is kept in game, and if it crosses multiple accounts. Might be worth the pain of setting it up if it makes life easier in the long run. There is a copy of a Facebook post on Reddit, attributed to ex-CCP Leeloo. She was one of the more recognisable CCP staff members to have recently been retrenched. She was part of the now decimated Community Team. Comment from discussion DeadKateAlley’s comment from discussion ""… might be the single biggest mistake this company has ever made." – ex-CCP Leeloo on the recent events". First and foremost – if accurate – I hope there are people there directly supporting her. I’m not sure how best to say it, but I got the impression it was a cry for help. There was a lot in it that I found interesting. I wasn’t always a fan of CCP Leeloo. There were a number of her interactions with the CSM and on the forums that I did not like. I could however see in the message her clear zeal for the game. How amazing is it to have had a job you are truly passionate about! Little wonder – even if expected – the loss of it hits so hard. Her words remind of the human impact of this event – sometimes forgotten in the player’s perennial “EVE is dying, no its not, yes, it is” debate. Even though I am an EVE Hermit – who by nature and play style eschews community, I know I owe thanks to that very same community for the game. EVE doesn’t continue to exist because of players like me. We can contribute and give flavour in our own way, but it is the communities that have sprung up throughout the game that give it life, transcending the code that CCP writes. 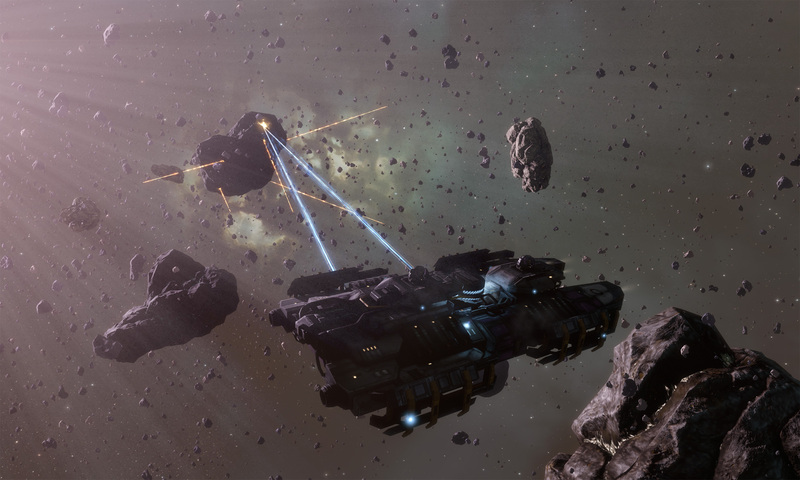 I remarked in a comment last week that CCP might have targeted the Community Team because they did not value it, or maybe it had failed to achieve new player or revenue growth targets, or maybe it was an easy choice for accountants as there were no measurable and tangible results, or maybe they wanted to refresh the team with new ideas and a different sort of enthusiasm. Ex-CCP Leeloo remarked on why she felt they were retrenched. One of her next quotes touched on one of my own fears. Mindful these quotes come from someone (justifiably) upset and apprehensive, I have still had the impression for some time now that some sections of CCP management do not like the EVE community. Given the tirade of abuse they receive I can’t say I blame them, but some of their decisions and the vibe I get from their communication (or lack of) leaves me feeling like there is a level of ill will there. Speaking of management, there is this parting shot. I’ve not heard that analogy before. It was a good one. As it is with such situations, ex-CCP Leeloo’s words have been swept up and taken from her. They are owned now by the EVE Nerds, dissected and misquoted for ever more. (Like now.) But they do highlight one of the bigger questions I had with this latest round of CCP sackings. 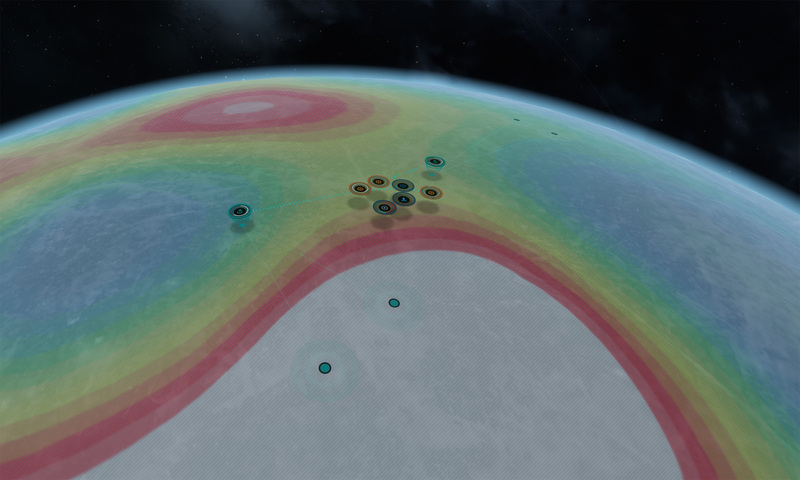 Where does the relationship between the EVE Community and CCP management sit right now? Approximately 5% of the required mining done. I got a message from one of my R&D agents indicating they had encountered a problem. This normally only appears when you speak with them – and I hadn’t spoken to that agent in a long time. As a precaution I did a Datacore run – the first time in more than two years on that character. After expenses and more than an hour of jumping around, I earnt around 300M ISK. When I first completed the horrid standings grind to build my R&D agent list, I would earn around 400M ISK a month. It didn’t last long. Due to the evils of passive income, CCP nerfed that a number of times over the years. This latest collection was worth around 12M ISK a month. I could swap the research around and earn a bit more – but by the time it came to collect the prices would likely have changed all over again. It wouldn’t be worth it, which I guess is CCP’s goal. This was me earlier today. When you zoom in, the game can look rather spectacular. This was also me earlier today. It has been a very, very long time since I have done any PI. There were some tweaks since last time I used the interface, which had improved it. I still stumbled around a bit at the start to work out how to lay the command centre. I didn’t worry about getting my first setup efficient – instead just aiming to get something that worked. I finally moved the last of my stuff out of Syndicate. They had been clogging up my inventory list and annoying me, but each time I thought I should do something about them I would read an EVE news item about some active war going on in the region. In the end the extraction was uneventful. I had hoped to find some wormhole to make the process a little safer, possibly quicker, but had no luck. I initially struggled with the scanning interface, which had changed again since I last used it. It was worthwhile practice in the end. There are still some items that I re-listed on the market. If they don’t sell I will trash them. On the plus side – the thing which triggered my exit, the long delays and blank screens on undocking, didn’t seem to be as bad any more.